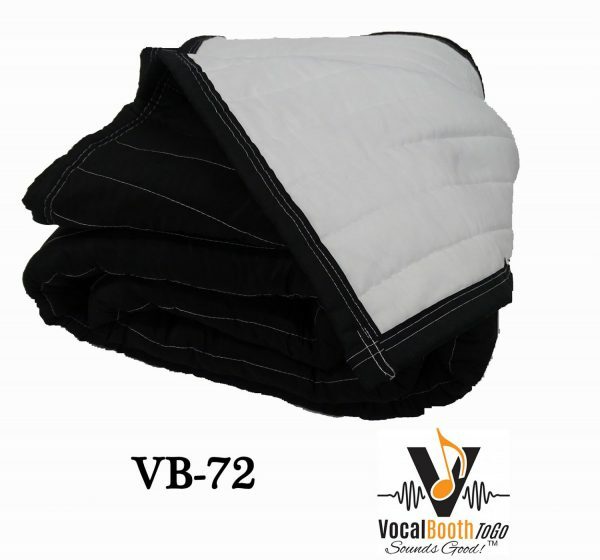 Acoustic Vocal Booth AVB66 is large to fit a small group of people or a drum set. 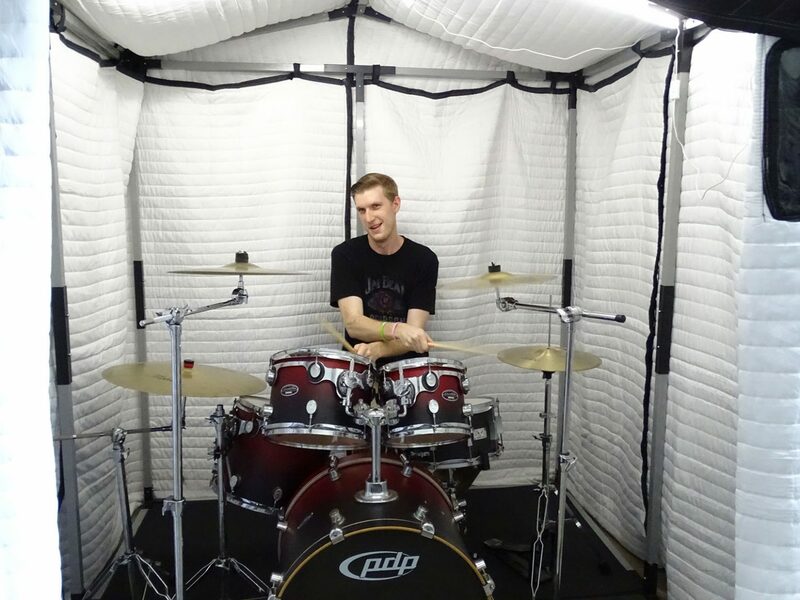 Designed to cut down on sound reflections and echo it creates an immediate audio recording space and great for audio recording or even for playing drums ( not soundproof). 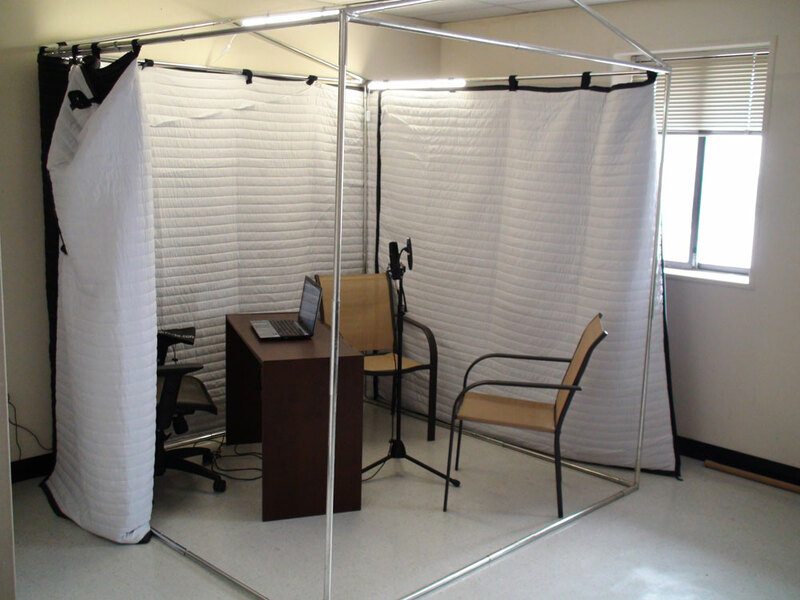 Mobile Acoustic Vocal Booth 6 x 6, is a portable walk-in sound booth designed to create on demand acoustically treated studio space for audio recording. Can be used in any space: home, garage, outdoor or office, to cut echo, sound reflections and reverberation for clear audio recording. Size 2 m x 2 m footprint x 2.3 m height. 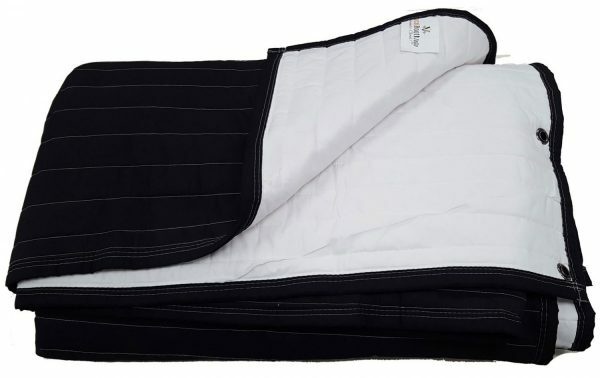 Includes snap-on metal frame, sound absorbing walls and top covers (Outside is Black; Inside is White), Two no noise LED lights with power adapters. It can be assembled in about 20-25 minutes and ready to use. 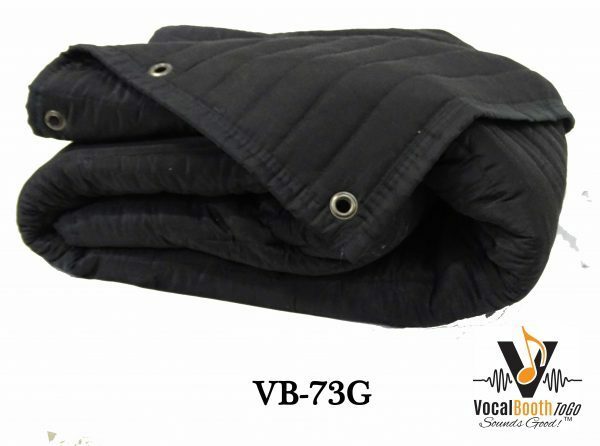 AVB66 is great sound booth for home voice over recording studio, for interviews, vocal recordings, small band recording, acapella group or a instrument recording artists. 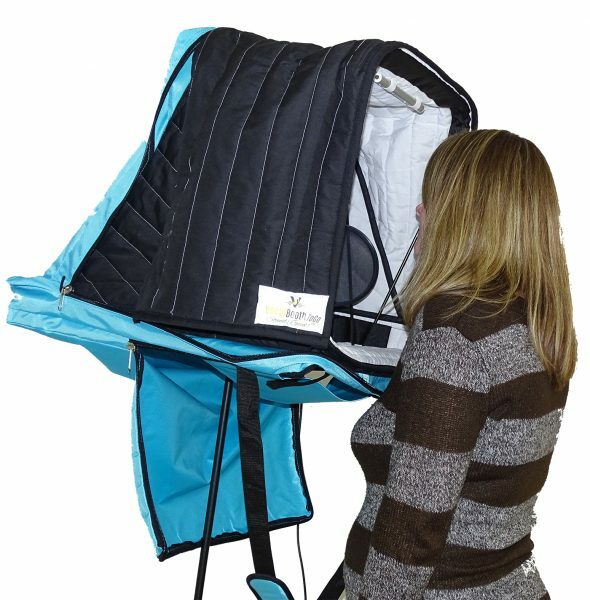 It is acoustically better than similar size permanent sound booths. 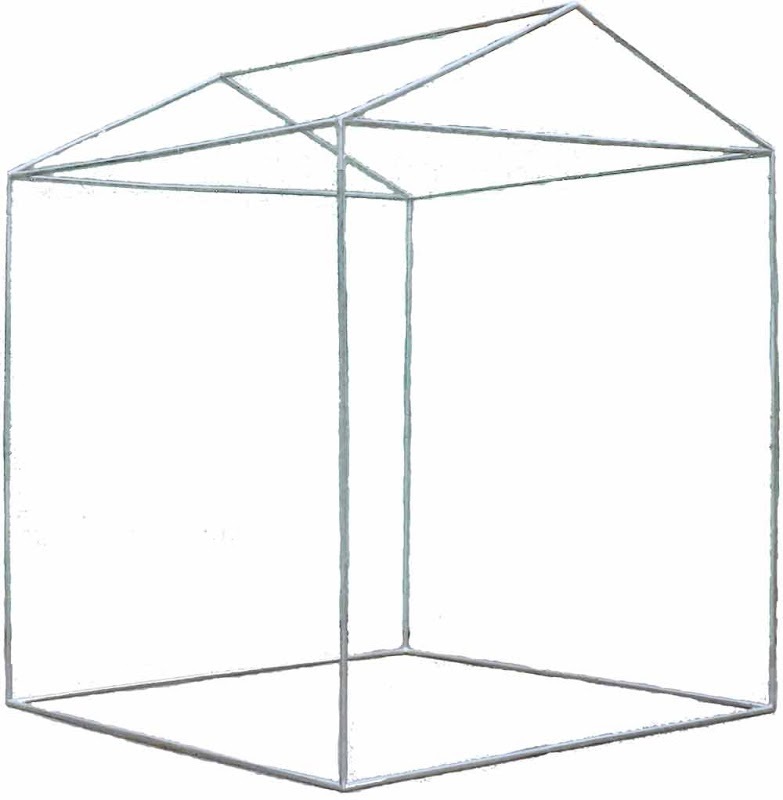 It is also much less expensive and can be easily moved from place to place, or even shipped by a postal carrier. 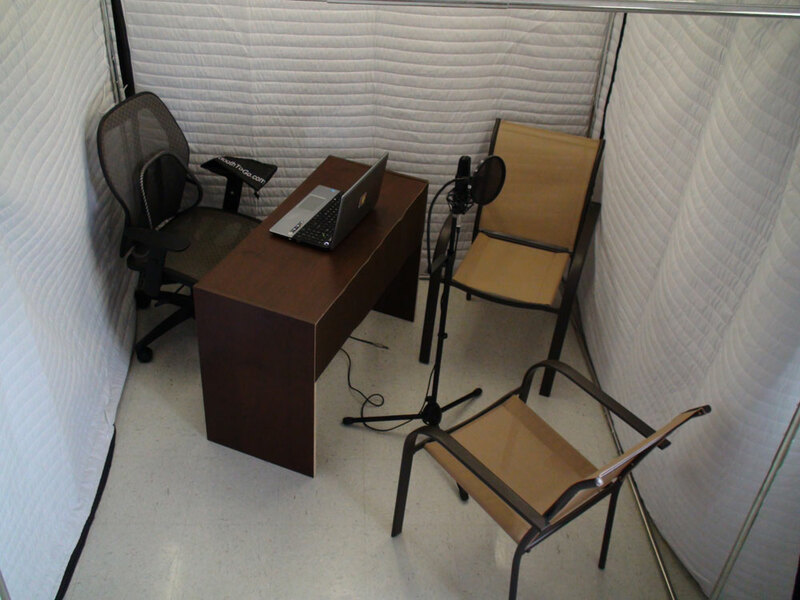 This vocal booth is most often being rented on a weekly basis for trade shows. It is probably a bit too larfge for one person. AVB66 is still easy to assemble and disassemble, comes with Silent LED light. Can fit a group of actors or vocalists, small band or a drum set. Fits in a regular size car when dissembled.